High school senior Jessica Casanova reached for the stars on Twitter — and she grabbed one. A few months ago, Casanova asked “Jane the Virgin” star Gina Rodriguez if she could borrow one of her dresses for prom. Gina, being the classy, gracious and very loving person she is, made sure Jessica’s dreams came true. Here’s how it all went down. Get ready to feel all warm and fuzzy. This is the tweet that started it all. We’ve all wanted to do this, right? Which dress? This dress, but there was a problem. Gina Rodriguez, who responded to the fan in less than two hours, doesn’t own that dress. But it’s OK, because Gina had a plan. Catch the NEW episode CHAPTER 10 of #janethevirgin tonight on the CW at 9pm! We got all dressed up for you and plan on tweeting, who is with us?!? And Twitter’s collective hearts started to beat like super fast. And she was determined to make her Casanova’s dream come true, so Gina offered her black dress instead. Like, how can we be blessed by Godmother Gina? Clearly all of Gina’s fans were onboard to see this happen. Positive peer pressure at its finest. BTW, Gina totally came through for Jessica! ? ? ? ? And Gina was just as excited as Jessica that the dress had arrived!
. @TheJessica_C yay!!!! Do you like it? That's so exciting!!!!! Once alterations and all are done and it's prom night, I can see it on you! “I don’t know what made me do it,” Jessica told Buffalo News about tweeting Gina in the first place. “I got chills,” she continued when talking about trying it on. Here is a reenactment of how we assume Jessica reacted to getting the dress. Celebs, take note. That’s how you do it, y’all. Here is Casanova in Gina’s dress. Fits just right. Gina even sent Jessica a video to make sure her prom night was going well. Why? Because Gina is classy AF. “Even though she’s filming a movie right now in London, she took her time to actually take a break and respond to me, making sure that my night was going well, which I appreciate that very much,” Jessica told TWC News Buffalo. Jessica (and her date) totally slayed like Gina did when she won her Golden Globe. Now THAT is a magical prom story brought to you by the one and only Gina Rodriguez. Maybe you should ask your favorite celeb for a little favor? Share this story with all your friends by tapping that share button below! YES, YES, YES. GIMME ALL THE SWEETS AND COOKIES. If you grew up in a Puerto Rican household, these 9 desserts will bring back the memories! Try and get through this entire post without drooling. These devilish little iced cookies are the MOST ADDICTIVE THINGS IN THE ENTIRE WORLD. They’re easily purchased online or in certain grocery stores, and boy oh boy is it impossible to just eat one. Alright, this one’s a little obvious, but we’d be lying if we didn’t point out that this was always in the fridge at all times. This coconut custard cake is a staple in any Latino home, and Puerto Ricans really love it. Ahhhh yes, the perfect Sunday-after-church snack. After sitting through a ridiculously long mass, there’s nothing we wanted more than this delicious sweet roll. 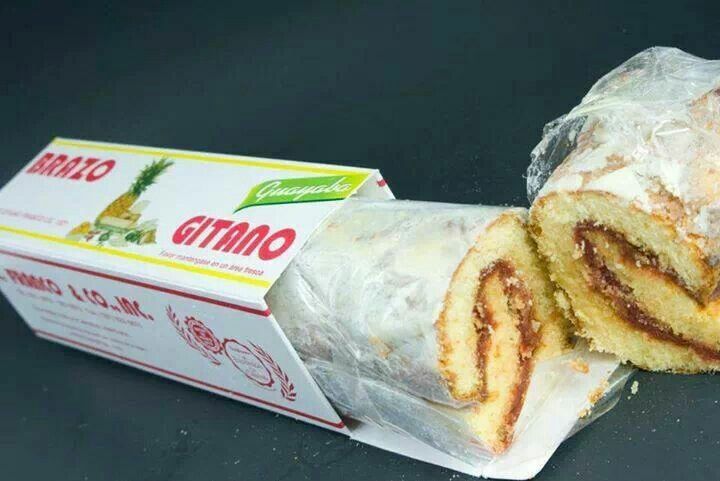 If you were a kid in a Puerto Rican household, your parents and grandparents likely enjoyed this with a delicious cup of coffee. Just looking at these cute little sprinkle-topped shortbread cookies will take you RIGHT BACK TO CHRISTMAS. They were always our go-to holiday cookie and always around growing up. This coconut dessert pudding has destroyed many a diet, but was always worth every bite. Cinnamon?! Coconut?! Are you describing heaven? Because it certainly sounds like it. This was a go-to for birthdays and, really, any random celebration. Are you sensing a recurring theme? Coconut. Puerto Ricans love coconut y’all, and we aren’t afraid to admit it. These little cookies were always a favorite after-school treat. Whether homemade or store bought, #they #can #get #it. YAS YAS YAS. Meringues are basically little clouds in your mouth. Truly! It’s like if clouds were in dessert form. You could buy them in bulk and have cloud cookies on demand. PRAISE. And finally, rounding out the list of classic Puerto Rican desserts that we all remember from growing up: Bocaditos cookies. Marshmallow + cookies? YES. So. Into. These. Be right back, going to lay in a puddle of my drool after going through this list. GET THEE TO A GROCERY STORE, STAT. What are some desserts you loved growing up? mitú wants to know!